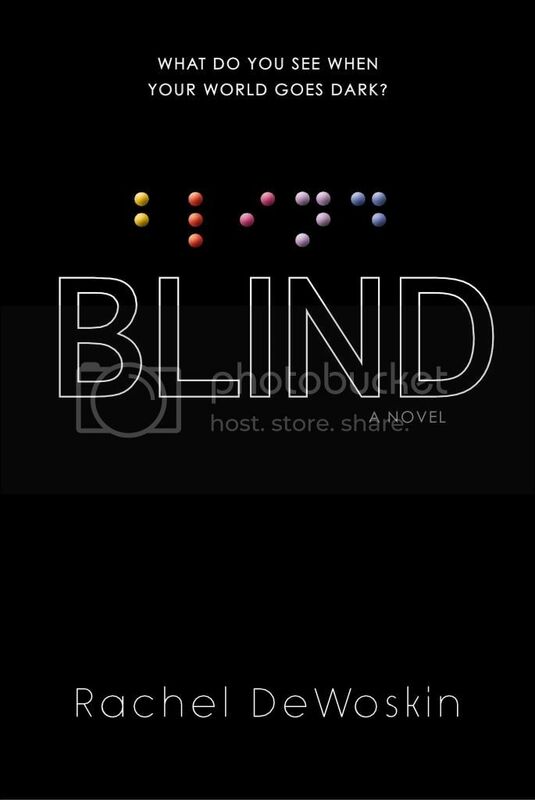 Blind is the story of fourteen year old Emma, whose life changed in an instant after being struck by a firework that backfired at a 4th of July party. This is a story about learning to cope with a devastating loss that can change your life forever. Emma was a really interesting main character. In the beginning of the book, she was scared and insecure and exactly how any of us would feel if we suddenly lost our vision. But as the story progresses, and Emma learns to cope, she becomes a much stronger young lady, one with infinite possibilities ahead of her. The way that Emma came to terms and learns to cope with her blindness felt very realistic. I can only imagine the anger and frustration that she felt for her sudden loss. I thought it was interesting to get to view Emma’s daily life throughout the story. She ‘sees’ with her hands, ears, and mind, instead of with her eyes. To Emma, sounds could be felt and tasted, and words were colors and shapes. It was all very interesting to be inside of Emma’s head during the story, even at times when it was uncomfortable and embarrassing. We get to share all of these feelings with Emma. This book had some really great secondary characters in it. Emma had a really amazing family that was super supportive of her. (Ok, maybe not by one sibling, but everyone else.) I love books where that have really great family ties, and this book definitely had that. Not only that, she had friends that really cared about her, even when she thought that no one did. Most of the storyline for the book revolves around Emma learning to cope and come to terms with her blindness. I can only imagine how hard a feat this would be to achieve, but DeWoskin did a wonderful job describing all the things that Emma had to go through. The story is very descriptive, especially about all the things that Emma is hearing, touching and thinking, and I think that really helps the readers to ‘see’ what Emma sees. The book definitely puts into perspective all of the things that people take for granted; like being able to see. Overall; I thought Blind was a really interesting book. I can’t say that I’ve read many books where the main character is blind, and it was really different to read the book from Emma’s point of view. I’m really looking forward to reading more by this author in the future. I'm always on the lookout for books about characters with disabilities, and Blind sounds like another good one to add to the list. Thanks for the review! I've heard some mixed things from this one, but I'm glad to see a positive review! It seems like such an interesting perspective so I'll have to read it. I'm all for diversity!